The build up to, and in some quarters the event of, Labour Live was much derided. But whether the day was a success or a failure – and any view on this will most likely fall on partisan lines – it is exactly the kind of thing parties should be doing. Over the past six months we have been working with a number of parties and non-partisan political organisations to try and greater understand the membership challenge facing them. These organisations face a trifecta of institutional issues: how to recruit new members, how to engage these members and how to retain members. We show that membership can be usefully understood as a journey, not as a series of disconnected stages. The journey is underpinned by three factors: motivations, process and triggers. Existing work largely outlines the motivations that people have to join political parties; ranging from the altruistic (an individual might join out of a sense of civic good) to the altogether more self-interested (an individual might join to further their career). Process is simply how easy it is to join and whether there are effective mechanisms in place for an individual to actually become a member. This seems self-evident, but understanding this can make a real difference. One party we worked with undertook a two-week experimentation where the homepage of the website was entirely about joining. This resulted in both a rise in the number of new members and in the proportion these members paid in membership subs. Triggers are the kind of catalysts that prompt an individual to actually make the leap from (broad) supporter to member. National events such as elections or referendums are the most important trigger – for instance Labour gained 50,000 members in the aftermath of the 2010 general election defeat – but they are not the only one. Triggers can be personal (such as reaching retirement age), local (induction events at university), national (a general election) or international (a government’s decision to engage in a military campaign). They are also often due to events largely out of the control of political parties. Labour, and others, could see this as an utterly depressing proposition. That their best recruiting agent is these events so, ultimately, there’s little they can do to control these peaks (and troughs). The historic rates of membership in the Labour Party, after all, are as a result of a leader that few, Corbyn included, predicted or had planned for. However, just because a surfer can’t control the sea doesn’t mean that some aren’t better at it than others. Parties, then, can either piggyback onto other events to manufacture a trigger, or orchestrate their own events. Piggybacking is simply using a regular or one-off event as an attempt to create a trigger. Just as those working in gyms will ready themselves for a spike of interest in the New Year and prepare accordingly, those in parties can do the same. They can use either regular or one-off events to better manufacture a trigger. Jeremy Corbyn’s appearance at Glastonbury would be a classic example of this. But we might also see it at a local level with a presence at agricultural shows and country fairs or (semi)regular beach clean-up events. A party might also piggyback on a topical story that is a natural fit for the organisation and its supporters. 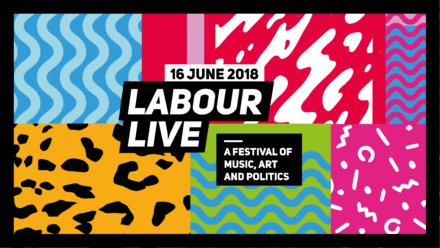 Orchestration is, like Labour Live, a standalone event that may end up attracting more members. This does not have to be a much debated event in North London with Clean Bandit and, erm, others performing on the bill. It might also be something as small as a pub quiz organised and promoted through a wider supporter’s mailing list. There are many motivations for party membership, creating events such as this moves beyond seeing party membership as being, well, so functional. So whilst it’s easy to criticise (‘fun too!’), Labour Live is exactly the kind of event all parties should be (and are) experimenting with. Some people want more than to attend endless meetings discussing the minutiae of party policy or to canvass on a cold, wet Wednesday. Some people – and strap yourselves in for this – want to have fun. Finally, the membership journey is not completed once the card arrives in the post. Understanding motivations, processes and triggers can also be a way of activating, engaging and retaining members. It might well be the case that previously unengaged members attended Labour Live with a renewed sense of purpose, which – by any metric – should be considered a success. A note of caution, however. The ugly response to protestors by some prominent figures on the left of the party did rather bring to mind the story of a member who left the Labour party, partly due to a ‘finger jabbing male approach’ to politics in local meetings. This kind of approach that also causes members to become motivated to leave parties. Labour Live was far from perfect. However, as a (bold and flawed) experiment it should be exactly the kind of thing all parties are inspired by. People join political parties for more than a cheap Nando’s and, ultimately, for reasons beyond politics. Events such as this have the potential to appeal to many who may feel left behind by traditional party politics. So whilst a bit of snark about Labour’s struggle to sell tickets never did anyone any harm, learning from (qualified) successes never did either. Sam Power is a research associate in party membership and engagement at the Sir Bernard Crick Centre for the Public Understanding of Politics, University of Sheffield. Kate Dommett is a lecturer in the public understanding of politics at the University of Sheffield and the director of the Sir Bernard Crick Centre for the Public Understanding of Politics. Sam and Kate will be releasing a full report on their findings in July and are available to present these to local and national party organisations.